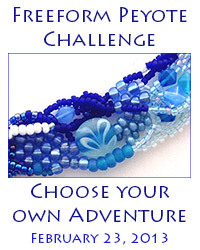 Autochthonous Evolved - Jewelry and Lampwork Beads: Hooray For School! I've been reading the comments from parents on Facebook this week looking at the adorable pictures of kids heading off to a new school year. Today was Sawyer's first day back to his second year of preschool - five days a week this year! Call me un-maternal, but dropping him off with a hug, kiss, I-love-you-with-a-heart, and a wave goodbye was a time for sweet celebration. Finally! Some time alone, with peace and quiet, to focus and create. Having so looked forward to this day, I was well prepared for three hours of productivity. 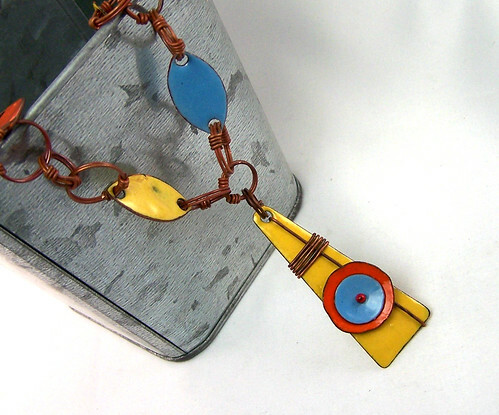 I made a slew of enameled charms on Saturday and began incorporating them into my Fall 2013 collection. And now, before I have to rush out to pick Sawyer back up, here is a sneak peek of what's to come. 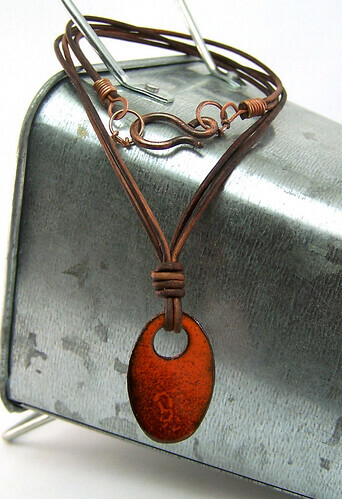 The collection features lots of enameled copper (by me), antiqued copper, and leather. 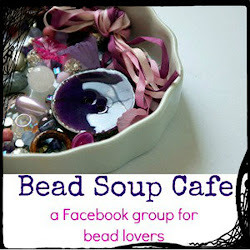 I'll have a wide range of products from affordable basic necklaces and earrings to one-of-a-kind statement pieces and shawl and sweater pins. And, since I do still consider myself primarily a lampworker, I'll also be making hollow clear transparent beads that I'll fill with desert sand, cap, rivet, and hang from a long leather cord to round out what is developing into a southwestern themed collection. The collection will officially debut September 28th at an art fair hosted by GINGKO coffeehouse (on Snelling and Minnehaha in St. Paul, MN), which will benefit the Hamline library. 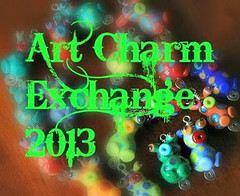 So, stay tuned for more details!